A broken capital outlay system has stymied construction of the Paseo del Volcan extension, Rio Rancho Rep. Jason Harper says. Reform of the way New Mexico pays for infrastructure, things like new roads, bridges and university buildings, is high on the agenda for many New Mexicans during this year’s legislative session. A Santa Fe-based think tank is leading efforts to reform the current system, which they say does a really good job of dispersing small amounts of political pork, but fails to concentrate piles of money big enough to pay for the projects it’s intended to fund. The other major problem is that so much of the money that is appropriated doesn’t get spent. “That’s really tragic in a state that’s 50th out of 50 in job growth,” Nathan said. The money that’s been allocated to construction projects but isn’t being spent would generate over 8,000 high-paying jobs, he said. Nathan is trying to persuade lawmakers to switch to a system modeled on the state’s existing way of prioritizing and funding public school buildings. 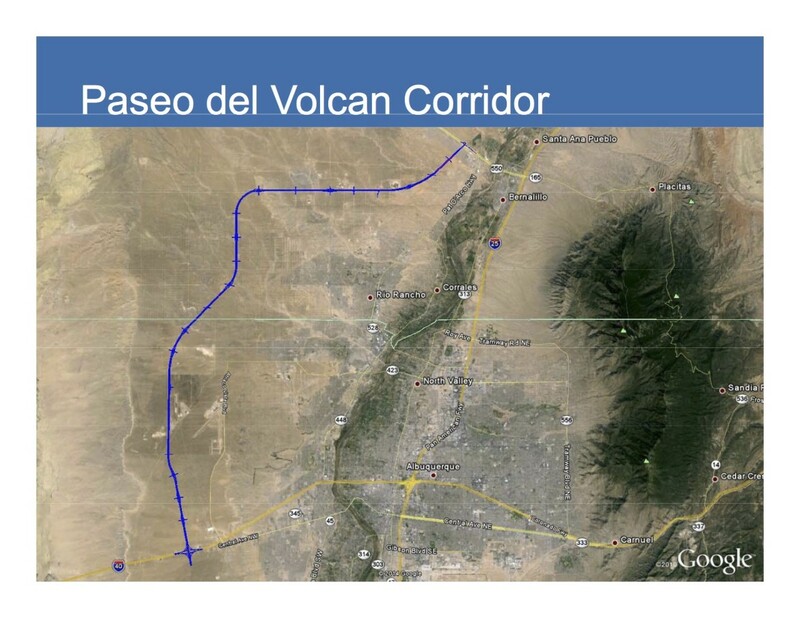 State Rep. Jason Harper, R-Rio Rancho, said his district badly needs to build an extension of Paseo del Volcan that would connect I-40 to Unser and ease big headaches for Rio Rancho residents living in newer developments. Even though lawmakers in his area have combined forces to support the project, they still haven’t been able to pay for the whole road. And he says that’s exactly what’s wrong with the capital outlay system right now. “We’ve been putting whatever money toward this project, a little at a time, and we have made progress on it, but this is such a regional need that the small amounts we get as legislators really just don’t go very far,” Harper said. Harper also said it takes too long to get the authorized money actually flowing—18 months at best, indicating there’s too much red tape involved. He’d like to cut it. He also said the process for getting state money from different agencies, including capital outlay, is too complicated. He’d like to see an application process created that is centralized and streamlined, so that an acequia association could apply once, for instance, and get funding for its water project within six months. Critics of the current system say New Mexico’s major infrastructure needs aren’t being met in part because so much money is diverted away to smaller, non-infrastructure needs that should be paid for out of the state’s checking account instead of being paid for by 10-year loans. But the real problem is that New Mexico’s state budget doesn’t allocate enough money to meet basic needs in its communities, said Sen. Cisco McSorley, D-Albuquerque. Switching to a system in which a commission prioritizes capital outlay projects would remove essential local input from the process and leave his district hanging, McSorley said. Nevertheless, the senator said more oversight was probably needed to make sure that projects move forward—or the money is returned and spent on projects that are ready to go. And in the meantime, each lawmaker is ultimately accountable for how he or she spends that money. “If you don’t like the way the legislature is spending the money, then get rid of [your] legislator,” McSorley said. But changing a system that delivers political pork is a problem for obvious reasons: people like pork. And they like the people who deliver it to them. And many lawmakers are reluctant to cede control over which projects happen or don’t happen in their districts. There should be a better way of prioritizing and funding public infrastructure projects, but the solution shouldn’t take away lawmakers’ ability to fund some projects in their districts, lawmakers said Wednesday night at an NMID forum in Santa Fe.